Are you a busy housewife or a professional chef and the biggest challenge you faced everyday in your job is to manually chopping and grinding the different edibles used for cooking? If your answer is yes, then you don’t have to worry anymore as the official franchise of the Telebrands PAKISTAN has come up with a new and unique solution that all the cooking lovers will definitely find useful. The name of this top quality product is Amazing Chopper. 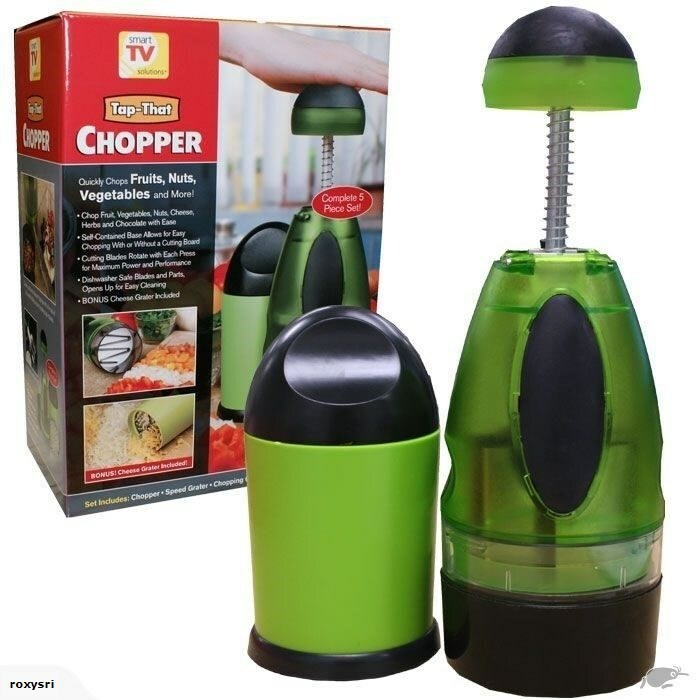 The Amazing Chopper, as the name suggests, is a top of the line manual chopper and grinder that can almost chop and grind almost any edible you can think of from fruits, vegetables, nuts, herbs, hard chocolate and so on. The Amazing Chopper features the unique blade that helps to instantly chopped any food you throws at it. The Amazing Chopper features the revolutionary rotating blades that strike with more powerful each time you apply pressure on it. You just have to press the blades onto the edible and the blade will rotate automatically as you press the handle of the chopper. For more convenience; also comes with the dedicated Speed Grater that helps to instantly grate the cheese and other soft items with minimal effort. The Amazing Chopper comes with 5 different pieces. If you want to place an order of this product, then all you have to do is to just dial the number 0333.4115583 from your landline or mobile number.